Herbal tea is largely different from original teas that are extracted from camellia sinensis plant. These natural varieties are extracted from herbal plants, their roots, leaves, branches, stem, flower, fruits, or seeds. Mostly, they have a lesser amount of antioxidants as compared to green tea, black tea, and oolong tea. Being a decaffeinated beverage, it is not even recognized as tea in many countries. In actual term this drink is called as ‘tisane’, a word originating from Greek. Herbal tea has been consumed since ancient times for its varied benefits and advantages. It is also called as Ayurvedic tea and has incredible powers to heal many types of diseases. There are more than 100 standard varieties available in this beverage whereas this number can become countless if all types of herbal teas are taken into consideration. You can even make your own variety of herbal tea by mixing different herbs. Use different herb extracts according to the need of your body for perfect results. Not all herbs may be suitable for you. Regular herbal teas are often considered safe for drinking, but medicated herbal teas should be taken under guidance of experts. Some plants and herbs are toxic in nature which can cause allergy or other health problems. For example, herbs extracted from Comfrey tree have alkaloids which can prove harmful for your liver. There are several stages of life including pregnancy when it is harmful to drink this variety of tea. It is a natural and mild herbal tea favorable in problems like indigestion and bloating. It also works as an effective stress buster. It is better to drink this tea in the symptoms of insomnia. Drinking a cup of Chamomile tea can release all tension and enable you to enjoy a sound sleep. Cautious part is that people having allergy from Chamomile should avoid this tea completely. Hibiscus tea is extracted from dried hibiscus flowers and known for its high-quality health benefits. It is packed with vitamin C and other healthy components which are helpful in lowering blood pressure, strengthening immune, preventing high cholesterol, and reducing hypertension. Its antioxidant components are valuable in minimizing the free radicals which damage body cells. Cardamom tea is a mixture of cardamom flowers and cardamom seeds. Being aromatic in nature, this is one of the best flavored drinks among all varieties of herbal teas. Medicinal powers of Cardamom tea helps you to get rid from stomach pain, flatulence, indigestion, and other similar stomach and intestinal problems. It is also effective in cough and nausea. It can help detoxifying caffeine if you are addicted to coffee. Cardamom tea is beneficial for women who face the problem of mood swings in their menstrual periods. Extracted from rose plant, Rosehip tea is a significant beverage used prominently as a rich source of vitamin C. It can help in boosting immune system of body and foster skin health. It is high on antioxidant components and considered among the top herbal teas for its surprising benefits. It has powers to treat inflammatory diseases as well. Hence, it can be helpful in arthritis which usually develops in older age. Lemon Balm Tea is effective in any kind of viral attack on body. This tea is quite beneficial in cold sores and other sort of sores cause due to different viruses. It can calm down nerves and help you to get rid of anxiety. Lemon balm tea can treat insomnia and provide relief from stress. 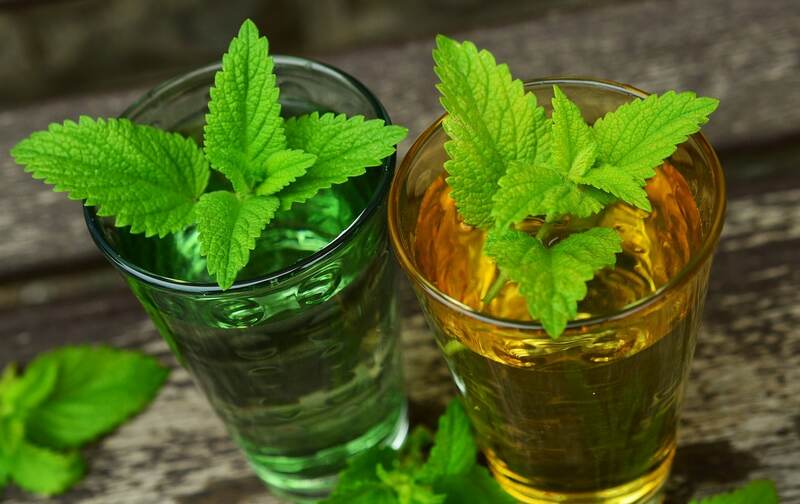 Mixing peppermint with it can help in curing many digestive problems. Different colored Lavender teas are extracted from dried lavender flowers. Since many centuries, it has been utilized for its medicinal values. Lavender can calm down mind and it is capable to cure strain, stress, and headache. Sipping it can provide sound sleep to people suffering from severe sleeping disorders. With regular consumption, it can clean chest and eliminate respiratory problems. As said, there are many varieties of herbal tea that are incorporated with unmatched medicinal powers. But, these are few of them having negligible side effects and optimum results. Hi, I am Pradeep Rajput. I am a fitness and nutrition expert working with www.saffroncup.com. I have been writing since January 2010 and worked with some health organizations in the past. I love to write on healthy living.